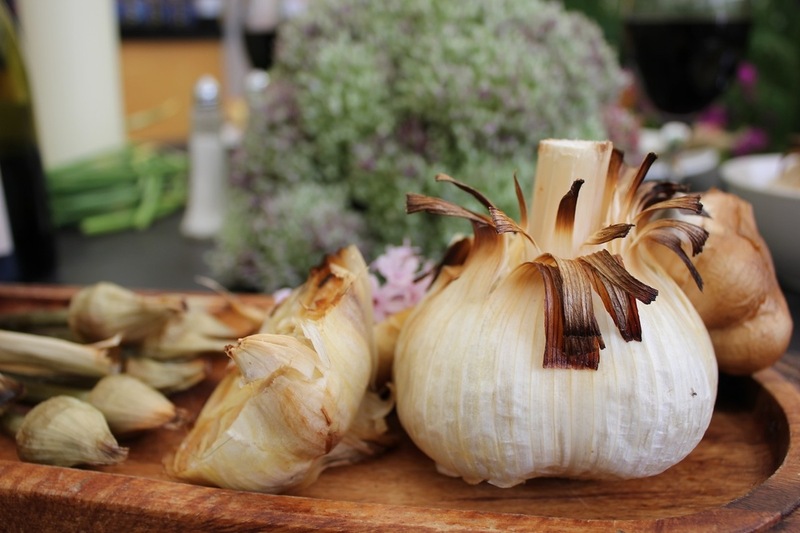 Arguably the best and simplest way to enjoy Elephant Garlic. Just roast it whole! Chop your elephant garlic bulb in half horizontally. Drizzle the exposed cloves with olive oil and sprinkle with salt and pepper. Put the bulb back together, loosely enclose in foil and place in the preheated oven. Depending on the size of the bulb it will take between 40 minutes and 1 hour to roast. Turn down the oven to 180C and leave for an extra 30 mins to get a more caramelized flavour. Once roasted it can be simply spread on bread, served as a side to barbecued or roasted meats or added to sauces and soups.